What’s in a name? Or, more appropriately, what’s in an acronym? In the corrective action world acronyms are the norm. CAPA is an acronym for Corrective and Preventive Action (or sometimes Corrective Action/Preventive Action). 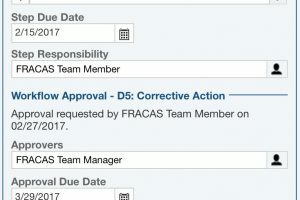 FRACAS is an acronym for Failure Reporting, Analysis, and Corrective Action System. Adding to those, you may see: CAR, PAR, FRB, NCR, SCAR, CPAR, RCA, IFR, DRACAS, PRACA, PRACAS, CI. To makes sense of this alphabet soup, and help you decide what’s best for your use, let’s start at the beginning. This is a collective of the more commonly used acronyms you may encounter in the corrective action world; however, it is by no means intended to be comprehensive. Feel free to leave us comments with acronyms you prefer or have seen. It appears to look daunting when you start trying to wade through all the acronyms and meanings. However, many of these terms overlap and have similar meanings, or refer to specifics. For this article, we will consider two that are commonly used when referring to an overall process for handling failures: CAPA and FRACAS. Looking at the list of acronyms, you can see that several others refer to elements or steps of these processes: all the request or report acronyms for example. Others are additional acronyms used for referring to overall process, but are just not as commonly seen: PRACA, PRACAS, DRACAS. Lastly, there are more global acronyms that refer to a complete quality program that may include CAPA or FRACAS as part of the whole: CI and QMS. Failure Reporting: a failure occurrence is logged in some manner. Analysis: the failure is analyzed to determine the cause. Corrective Action: the steps necessary to correct, prevent, or mitigate the failure in the future are identified, implemented, and verified. The term FRACAS has its roots in a Department of Defense standard published in 1985 that defined the FRACAS process, MIL-STD-2155. Therefore, FRACAS is a term widely used and recognized in industries related to military, defense, aerospace, etc. Because of its long history and wide acceptance, FRACAS is used throughout many commercial industries as well. CAPA is also a closed-loop process for the management of failures or nonconformance. A CAPA process identifies actions to be taken to eliminate or mitigate failures or nonconformance issues related to manufacturing, procedures, processes, systems, or services in an organization. CAPA is closely tied to quality management. In some industries, CAPA is required in order to meet regulatory standards. For example, industries such as pharmaceutical and medical devices, have compliance requirements from the FDA that include having a CAPA in place. CAPAs also are part of many practices in the automotive industry. This is also the case for compliance with ISO standards, GMP and other Good Practices (GxP). D4: Determine the root cause. D6: Implement the corrective action. Other processes are also used for product and process improvement. PDCA (plan, do, check, act) is a 4-step process also referred to as the Deming cycle or circle, and the Shewart cycle. DMAIC (Define, Measure, Analyze, Improve, Control) is a continuous improvement system often used in Six Sigma programs. A wide range of CAPA processes are unique to an organization. The goal of a CAPA remains the same, however, the manner that this is achieved can be left up to each organization to modify the process as best fits their needs. From this very high level overview, you can see that at the heart of a FRACAS or CAPA is a process to manage issues. The long-range goal is to ensure your organization is meeting quality, reliability, and continuous improvement goals. Whether your organization employs a CAPA, FRACAS. Corrective Action, or another name, the choice of terms and standards may be in place due to industry requirements, compliance needs, corporate objectives, historical reasons, or simply preference. In general terms, your issue management process is part of your quality management system (QMS), even if it stands alone or is part of an integrated quality platform. Relyence FRACAS fully supports both CAPA and FRACAS processes. Relyence FRACAS offers a robust platform for tracking and managing your corrective and preventive action process. Relyence FRACAS ensures that your process is in compliance and under control with a completely customizable process flow, built-in escalation of issues, and workflow and reminder features. Relyence FRACAS incorporates a wealth of additional features for comprehensive correction action management including: out-of-the box support for 8D, DMAIC, and PDCA processes, customizable process control, integrated workflow, team assignments, data importing and exporting, flexible reporting, and a powerful dashboard. 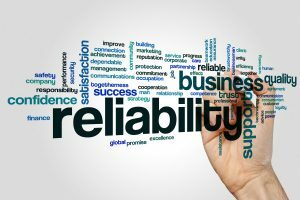 You can effectively manage your product, product, or service related issues to monitor quality, reliability, safety, risk, and environmental concerns. Relyence FRACAS can help you meet your ISO-9001, ISO/TS 16949, AS 9100, FDA, GMP, and any QMS requirements. Lastly, Relyence FRACAS, as all Relyence tools, was designed with today’s collaborative, virtual teams in mind. Relyence FRACAS is web-based, mobile-friendly, and device independent. Your team is most effective when using Relyence FRACAS. You can register for a completely free, fully functional trial of Relyence FRACAS. You are also welcome to contact our sales team for more details and to schedule your own personal live product demonstration.